The Director of Pupil Services gives direction to all special instruction and to all pupil services. The major responsibilities of the director are to facilitate improvement of instruction and service, to participate in staffing the schools, to supervise and evaluate special education and pupil services staff, to oversee the identification, program development and program placement services for students who are mandated as special education, and to administer compliance with State and Federal regulations. To assist the Director in carrying out the responsibilities of IDEA, there are 7 department supervisors for Pupil Services. 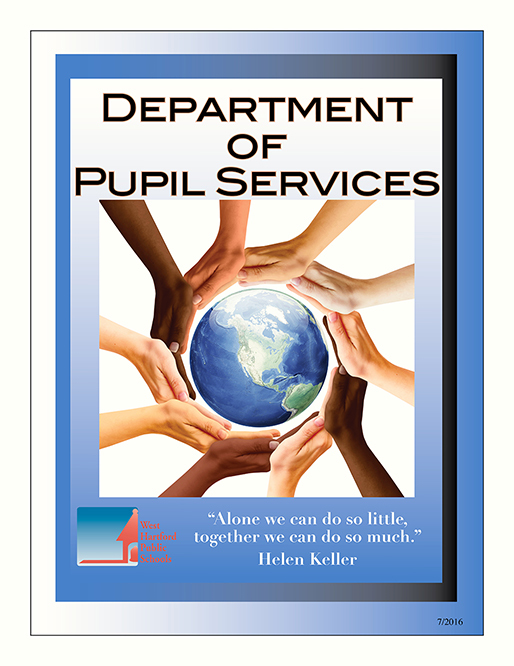 Under the supervision of the Director and in concert with the school principals, they supervise and evaluate special education teachers, administer PPT's, promote student achievement, review and improve service delivery, and communicate and collaborate with all building teams, staff, parents and consultants. Social Work, School Counseling, Psychological, Speech and Language, Behavioral Therapy, Autism Consultation, ABA, Vocational and Transitional Services, Occupational Therapy, Physical Therapy, Services for the Hearing Impaired, Psychiatric Consultation and Health Services.